Plumbing truck with potty scene on the side-Truth! - Truth or Fiction? Plumbing truck with potty scene on the side-Truth! 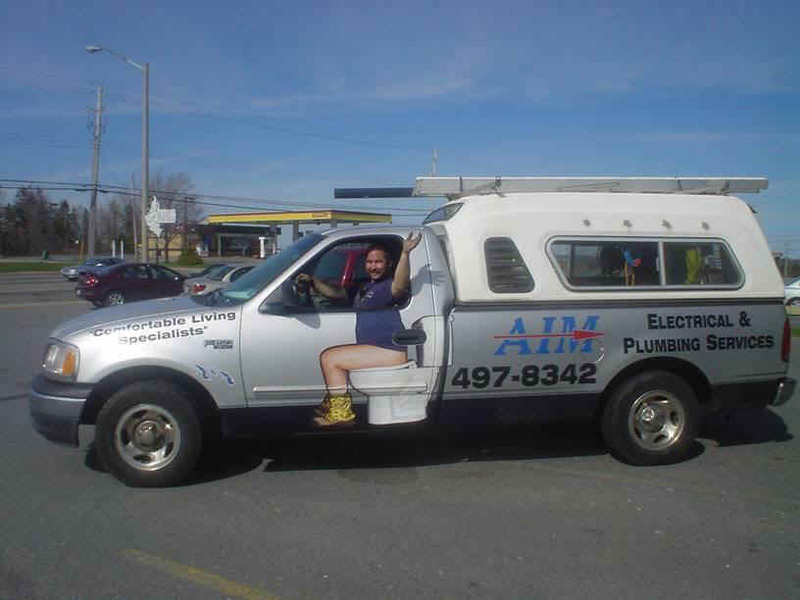 Plumbing Truck With Toilet Scene Painted on the Side-Truth! There’s no text with this eRumor, just a picture that says it all. The picture is of a truck from a plumbing and electrical service company. On the driver’s door, there is a scene of a torso sitting on a toilet. It is situated such that it looks like the upper part of the body is that of the driver. The brainchild of AIM Electrical and Plumbing in Halifax, Nova Scotia, Canada.